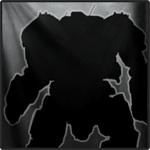 MWO: Forums - Public Test Feedback Threads Need To Be Re-Done. Public Test Feedback Threads Need To Be Re-Done. No chance to give any detailed info, since they're locked for response by the time you come out of the 2hr session, happened with both sessions today. For the first session the feedback poll was closed by the time I got on the forums to give my feedback, so I couldn't comment, or even vote on the first session. For the second session at least one question in the most recent feedback poll didn't make sense in English (the answers regarding FPS were for some other question that wasn't asked) so none of the data means anything since you can't ascertain what people's answers mean. For instance I am uable to express that my FPS is cut in half on the public test build, because none of the pre-chosen answers relate to the question asked. I'm not normally one to moan about silly things like you see so often on this forum, but the whole feedback procedure for the public test server seems very slapdash & just thrown together on the back of a ***-packet. Hopefully it'll improve in time for the next set of public test server sessions. Edited by Niko Snow, 15 July 2013 - 12:59 PM.